My guide Carlos (Charles) was friendly, knowledgeable, and considerate. As we rode between sites he told about events that occurred along the route, and Milna (?) would slow down or stop as was appropriate, they worked together very well. At the sites where we stopped he was never hurried, Vern informed, and always answered any questions. 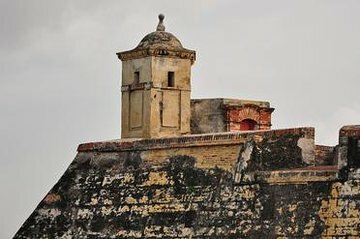 Even though this was not my first visit to Cartagena, he pointed out countless things I had not noticed before. A very relaxed tour. He even offered to help me plan another excursion! Billy was extremely friendly, informative, and knowledgeable. Most importantly, even though I'm sure he's given this tour many times, he made my wife and I feel special. 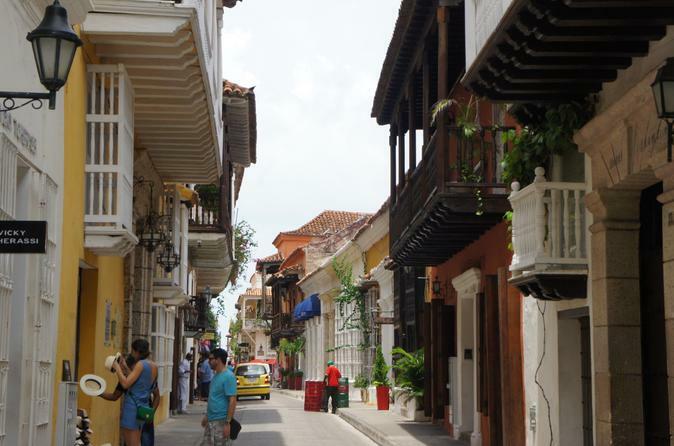 I felt like I was touring Cartagena with a friend. Fantastic experience. The castle of San Felipe is huge, imposing. The walled city is breathtaking and delightful, full of history. The tour, however, did not occur as advertised: after passing through the hotel district of Bocagrande, we went to the Santa Cruz de la Popa Convent. From there, we continue to San Filipe Castle, where we stayed for 1 hour. After this time, around 12:00 am, the guide told us that the tour would end there and that they would drop us off at the hotel. I argued that the purchased package also included a tour of the walled city, with passage through the Church of San Pedro Claver and the museums of the Inquisition and Gold. So she called her boss and told us that this tour of the walled city would only be panoramic which lasted about 20 minutes, but if we were to do a more detailed tour she would charge us only plus usd 50.00. Our guide was William, an 83-year old veteran of the Cartagen touring scene. We boarded the tour agency car with Simon, the driver and travelled to San Felipe de Barajas Fortress. William showed us the tunnels built under the fortress to confound invaders just in case they overpowered the fortress. He also impressed on us the genius of the fortress design. Then we drove to the highest point in the city, Candelaria Convent at La Popa hill. We did the peninsula and the Bocagrande beach with the high-rise hotels and condos. Then to the walled city for the Santo Domingo square with the church and the Botero and the Simon Bolivar square with the Inquisition building and museum of gold. The only thing in the itinerary we missed was the Claver Church but William did go into an explanation of Claver so that was sufficient. There were a number of things William wanted to show us that werent really in the published itinerary, like the UNESCO heritage-tagged private homeson Manga island. the street art inside the walled city, the inside of the Heredia Theater, and the Claustro dela Merced where Gabriel Garcia Marquez ashes are buried. William was very quick to volunteer taking our pictures. Not only that, he knew what angles were best and would often do three to four shots of us at different angles at the same site. But his hands were a bit shaky after all, he was already 83. He seemed to know everyone in the city. For example, the theater was officially closed but he talked to the guard, slipped him a small note, and we were allowed in. Not only that but the guard even put up the lights inside the theater so we could enjoy its magnificence. He was quick to help us in negotiating for a good price whether it was t-shirts, local art-handicraft, fruits. I mentioned to William that my wife wanted to check out emeralds and William promptly had the driver bring us to the Joyeria Caribe emerald museum. It was an interesting place with arguably the widest selection of emeralds. It took an hour before she could buy her earrings and William patiently waited for us which meant adding another hour to the total tour time. But William didnt mind. We loved William and his grandfatherly style. But he could climb up and down and walk with the best of them. His English was occasionally hard to understand but it didnt detract from our positive experience with him. Hats off! William was an awesome tour guide, with an impressive knowledge of the city's 500 years of history. He started the tour with an excellent and succinct overview of how our day would progress, and then proceeded to guide me through every sector of the city. Don't let his age fool you, he's full of energy and has the stamina to persevere through 4 hours of nonstop walking, climbing, and talking.